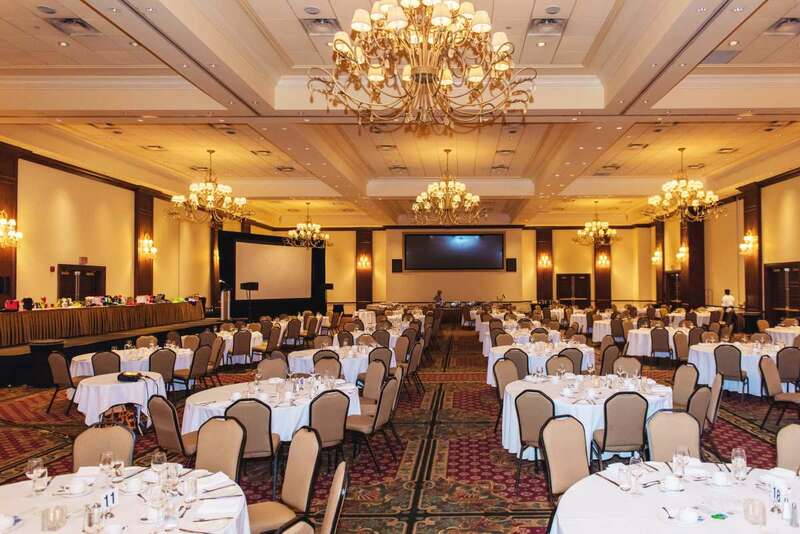 Deerhurst Resort is an ideal retreat destination and conference facility for any occasion. Our meeting and event venues can accommodate everything from an intimate boardroom to an elegant dinner for 720. Choose your perfect space from our many options below. The First Phase of 4-Year $1.5M Reno Plan is the $500 redesign of the upper west wing meeting space in the Pavilion. At its centre is the 3,600 sq. ft. Tom Thomson Room (above) which is surrounded by four smaller breakout rooms joined by a common hallway. The total redesigned space totals 6,587 sq. ft. not including the entrance stairway area and new washrooms. 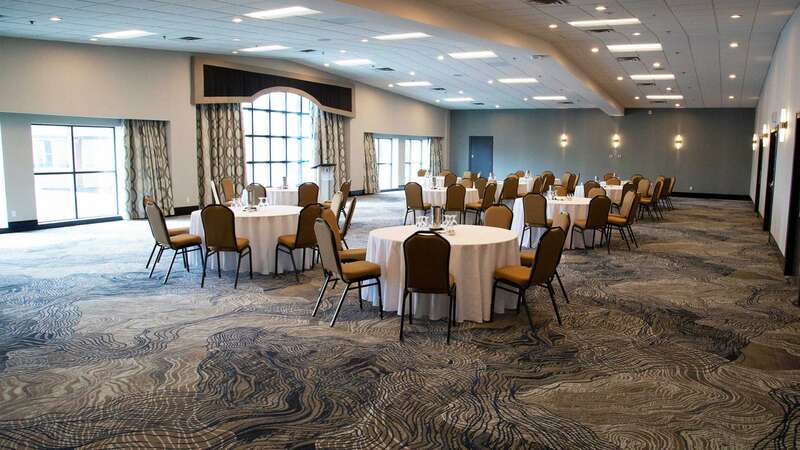 In addition to Deerhurst’s ‘big 3″ venues (Legacy Hall, Waterhouse Room and Peninsula Room) on the main floor, the Pavilion features a variety of function rooms on the East Wing and West Wing upper levels, all named after the Group of Seven painters. These rooms can accommodate everything from an intimate meeting to a dinner for 225. The Rotunda provides one of our most unique reception and small group dining spots, while the Grand Hallway offers creative stand-up dinner or exhibit functions. 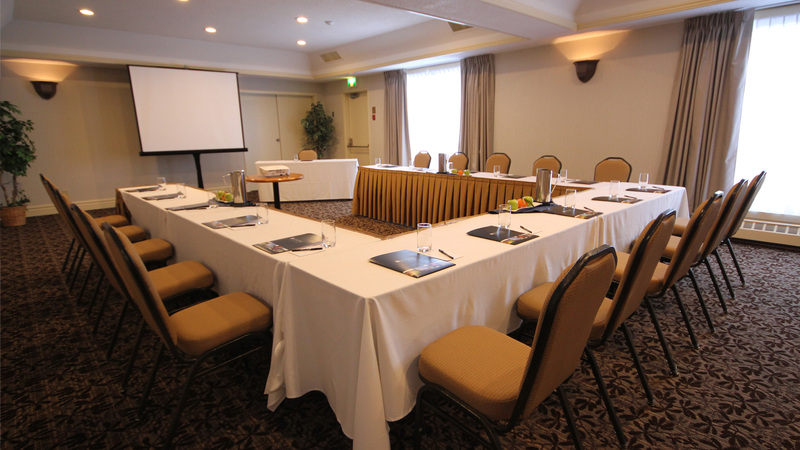 The G8 boardroom is the ideal venue for executive meetings, highlighting Deerhurst Resort’s role as the host venue for the 2010 G8 Summit. Our sleek multi-function space, the largest single hotel venue north of Toronto, is an ideal spot for tradeshows, concerts and special events. Featuring a column-free layout and large doors for ease of set-up, this flexible 11,000 square foot hall has plenty of access points. It also features a large, moveable stage with state-of-the-art lighting and sound systems. Acoustic floor to ceiling drapery panels provide optimum sound quality, and can also be repositioned to redefine the space for multiple purposes. A fashionable space decorated in rich hues, the Waterhouse Ballroom illuminates events with glowing chandeliers that highlight the 18-foot ceiling and rich colour scheme. This space divides into five rooms and opens to reception spaces in the conference foyer and grand hall. 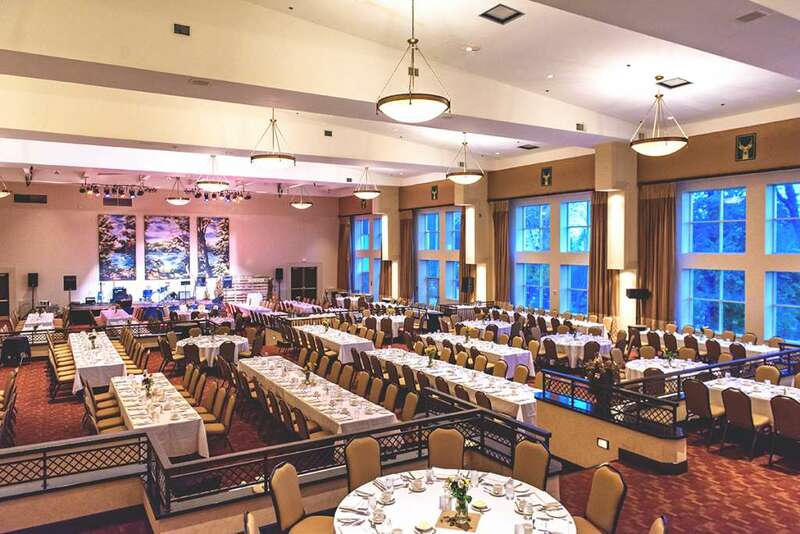 Plans for groups of 150 to 1,000 can easily be accommodated in this 8,288 square foot ballroom. This impressive venue is enhanced by classic Muskoka décor, forest tones and floor-to-ceiling windows overlooking Peninsula Lake in a tiered layout, well-suited to a stage area for speakers or live entertainment. Ideal for groups of 150 to 600, the Peninsula Room opens onto the Rotunda space, which offers the perfect complement for displays, a welcome reception or dessert buffet. The opposite side of the room has a separate entrance and terrace deck that can be used for receptions and outdoor dining. 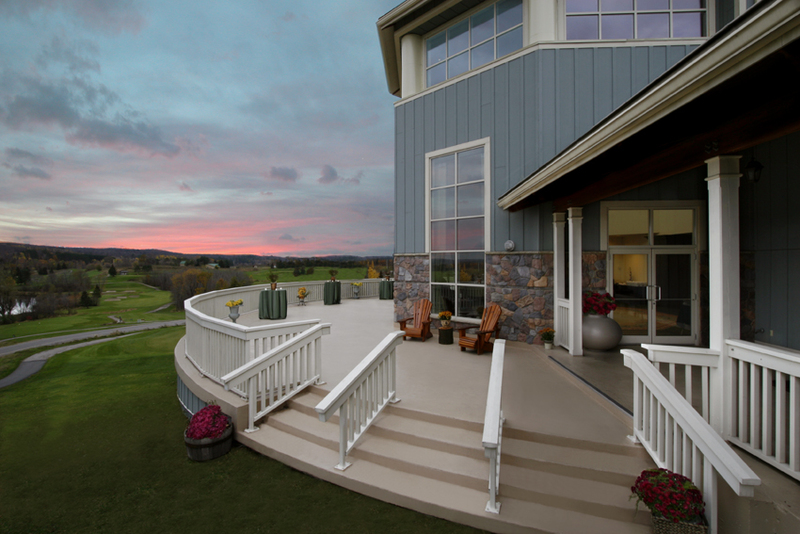 The Tom Thomson Room on the upper level honours its painter namesake with commanding views from large picture windows overlooking the golf course and resort landscape. Surrounded by four smaller break-out rooms, this space is popular for meetings up to 400 (theatre) or banquets for 200 (rounds). 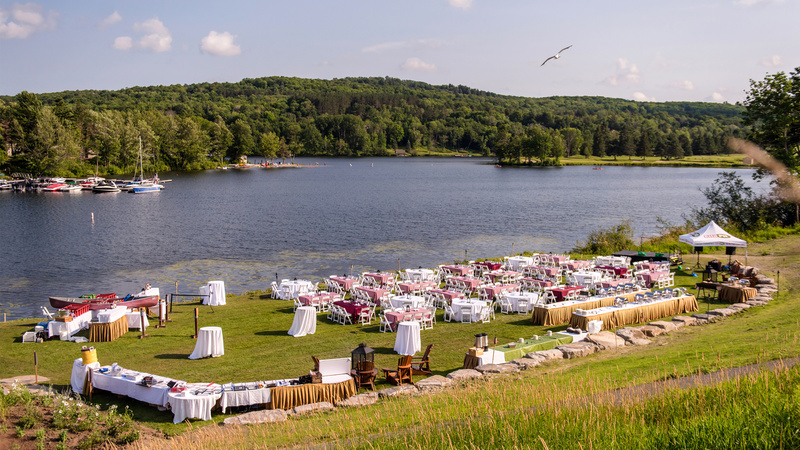 Other classic Muskoka Deerhurst venues include the expansive Sunset Bay event lawn, decks with spectacular lake and golf course views, and a beach with gazebo. 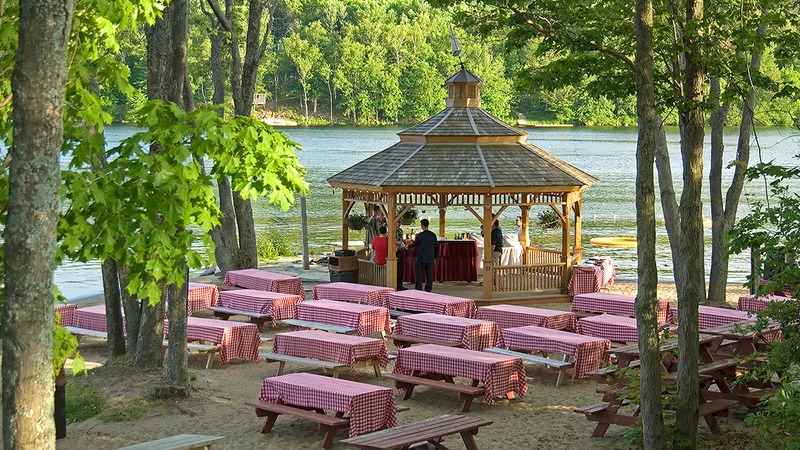 Choose one of our outdoor venues like the Pavilion Terrace, maple sugar shack, The Antler Steakhouse patio or have a catered picnic on our grounds. With 760 acres, we guarantee you will find your ideal outdoor space surrounded by the quiet beauty of nature.